We all have a story. Our stories with all their pain and joy, challenge and gifts shape us in so many ways. I believe that when we take our pain and challenges, shape and transform them into gifts that help others, we ourselves transform into bringers of Light and catalysts of change. 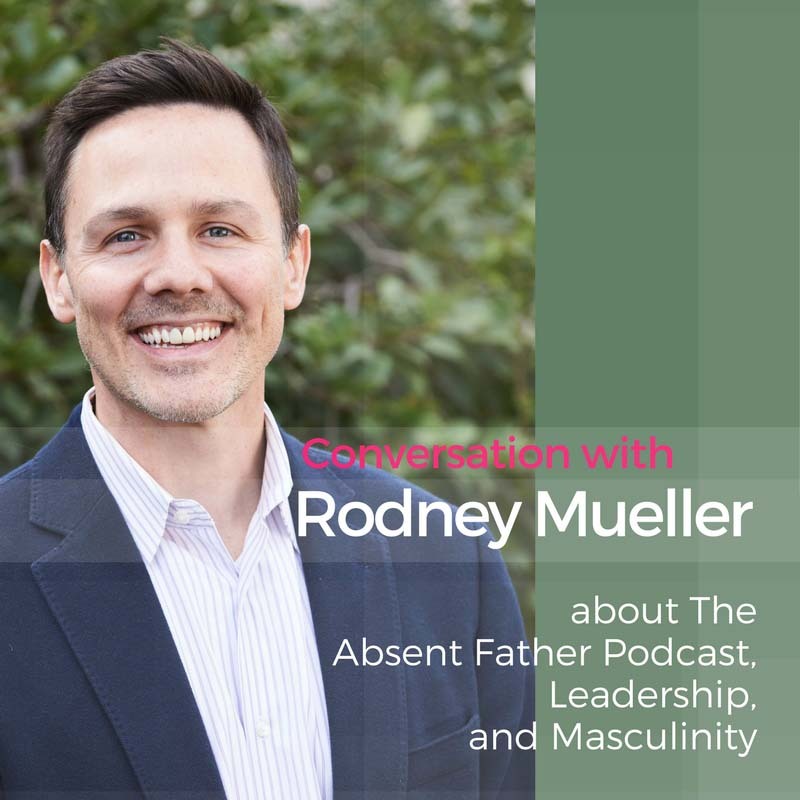 I invited one such Light bringer and change catalyst, Rodney Mueller, an executive coach, business advisor, and host of The Absent Father Podcast to a conversation with me. Rodney, who’s been interviewed by Oprah, shares his vulnerable, powerful story about his absent father, how it’s shaped him and his life. We also talk about how it’s shaped his work as a leader, and the gifts that such an experience brings. The Absent Father Podcast is a wonderful resource if you’ve had an absent or distant father, or any wounding around your father. I’m so delighted that Rodney with his warmth, vulnerability, and vision is hosting this for the world. Do check it out. Rodney Mueller is an executive coach and business advisor who was recently named LinkedIn’s Best of 2017 Executive Coach. He is also the host of The Absent Father Podcast on iTunes. Rodney has been coaching individuals and training groups to create more fulfillment and effectiveness since 2008. His coaching practice is influenced by his role as a senior non-commissioned officer in the Army Reserves and his work as the founder of the Absent Father Project. He’s a proud husband and father and lives in San Francisco, California. Connect with Rodney on his website. Listen and Subscribe to The Absent Father Podcast.